Two small, flat pieces of wood for the “shelf” and the “stand”. I found this wooden cutting board at Goodwill for a whopping $2.99. It was cracked and probably past its prime for food prep, but I knew it would work perfectly for this project! It was so simple to put together, I grabbed a flat stick of balsa wood from Joann for around $2.00 and cut it to fit the front flat side of the cutting board. Then I used the remainder of that stick to make a kickstand and glued to the back of the board at an angle (alternatively, you could put this on a hinge so it can lay flat for storage). Finally, I painted it all to match, and adhered the “shelf” part to the board. Easy, super inexpensive, and earth friendly. 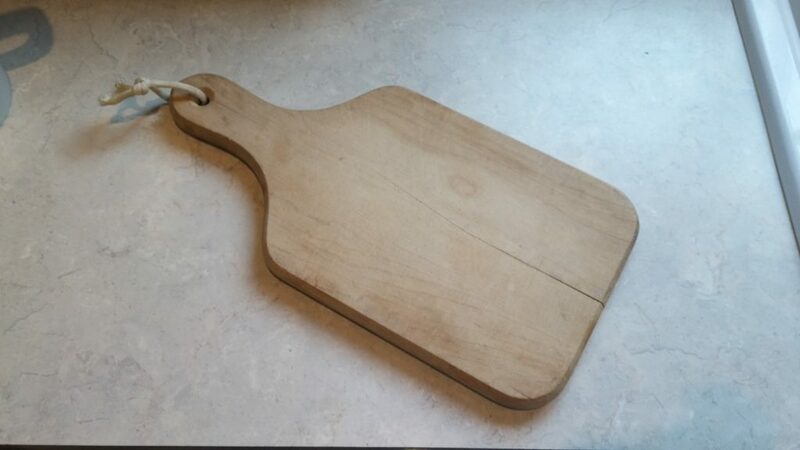 You can use a cutting board you already own, especially if its one that you would normally throw out. You can use wood putty and sand it to make the surface smooth again as I did. 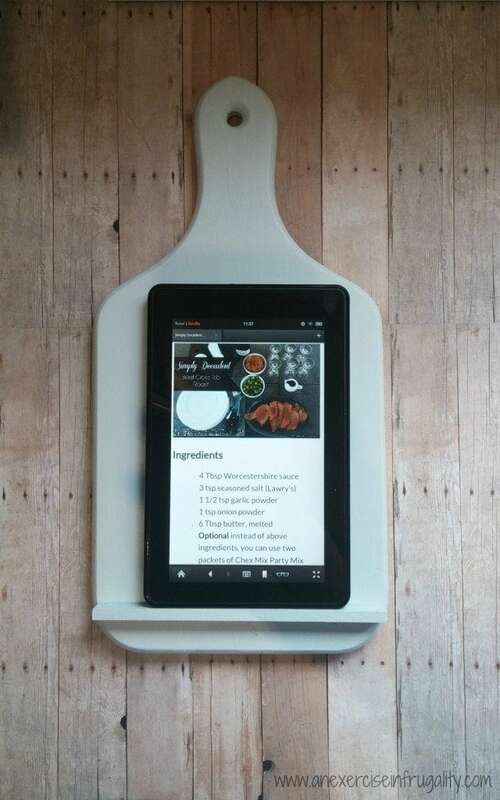 Then use it to hold up your iPad, Kindle, phone or tablet for easy recipe scrolling! This also works great to hold your phone or iPad while you’re playing music or streaming video! 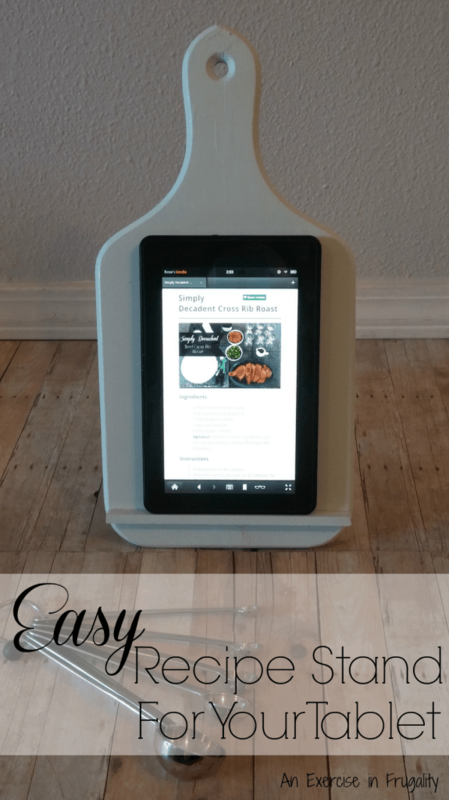 What do you think of the DIY Tablet Stand?